If your date of birth happens to fall between August 23 and September 22, your zodiac sign is Virgo, symbolized by the Virgin. What kind of sign is Virgo? This sign belongs to the Earth group – it is quite right because Earth represents pragmatism. Influenced by the earthy sign, you are extremely practical in your thinking. You have a logical mind and accept only which is real, not what is in the realms of the imaginary world. Are you Earthy? 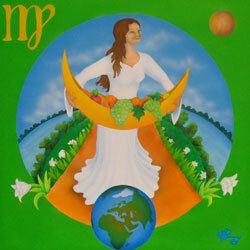 In Virgo Astrology, your sign depicts “purity.” You are sensual, meaning they engage with life through the five senses. Since you can blend in with your natural habitat well, you tend to move toward what’s real, and this often makes you very productive, able to create tangible results. However, sometimes the Earth’s extremes could lead you to become a workaholic, hoarding of possessions, pettiness, getting stuck in the mundane and stubbornness. Though there are 3 zodiac signs – Taurus, Virgo, Capricorn – associated with Earth element, you can tell the difference by knowing the modalities (qualities) of each. 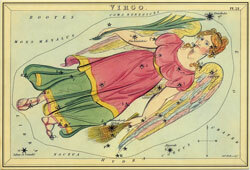 So, what to know about Virgo? It is a Mutable sign, characterized by changeability. Adaptable and flexible, Virgo-born prefers to work quietly in the background rather than to lead or be in charge. They are grounded in a practical and solid approach to life. Ruled by Mercury, you seem quick-acting, youthful, versatile and communicative; or, to be exact, you are blessed with “eternal youthfulness,” an ability to communicate well. The influence of Mercury gives you the meticulous attention to detail and ability to categorize order in the mental realm. Normally you are not afraid of work because staying busy provides you with the greatest joy in living. Perhaps you’d enjoy life better if you learned to relax more often. There is more to enjoy than just working hard – spending time for recreational activities and fun is a great option. 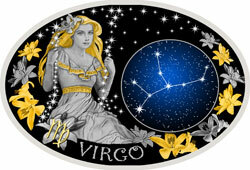 Discussing about Virgo sun sign, the majority of Virgo natives tend to be highly practical by nature. There always seems to be something reliable about you as you have a very strong sense of duty. You have a natural curiosity about everything and love to organize things. Overall, you are a mental perfectionist who is totally obsessed with details, but you must understand that nothing and no one is perfect…even yourself. Strength – You are the most level-headed of all the zodiac signs. “Sagacity” is your most high point; you have an analytical mind which helps you approach any situation critically. Gifted the powers of discrimination, it is hard to deceive you since you can see through people’s hidden corners. Occasionally, Get To Know Virgo Strengths HERE! Weakness – Practicality is your major strength, but keep being practical makes it your weakness. You are suspicious of everything and everyone around you. Also, your nature of trying to put everything in the right order can be irritating to other people. In a nutshell, what kind of sign is Virgo? To the world, Virgo presents a calm and collected exterior but, on the inside, always tries to figure things out and improve everything, analyzing and thinking.